On Monday the 3rd of October 2016 we welcomed students, staff, parents and the community to celebrate our exciting Playscape achievement. We have been saving and fundraising for many years and are so proud of this contribution from our community - what fortunate students! Many students played a part in the design with Richard Bellemo, as he consulted with them and took their thoughts to design this magnificent result. Council President Geoff McRobinson summarised the project and funding journey details and congratulated the community on the wonderful achievement. 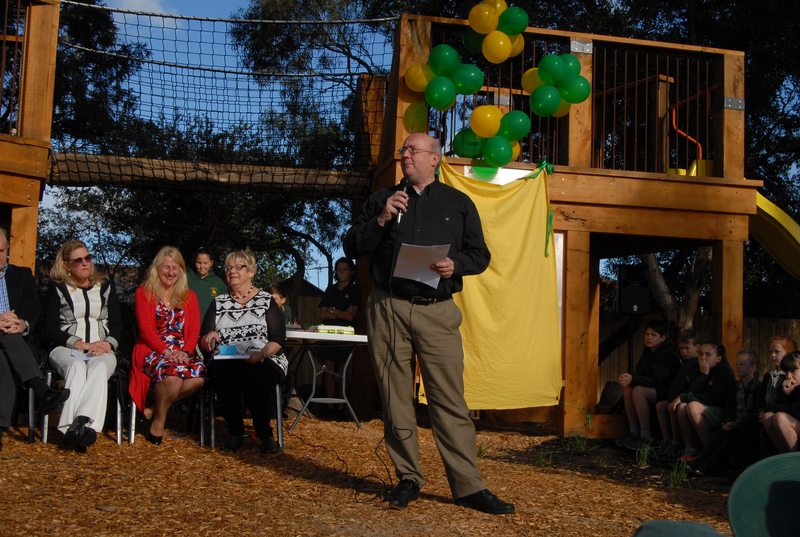 Special Guest Lisa McInnes Smith addressed the community focussing with students on a theme of gratitude, pride and care of our Playscape. 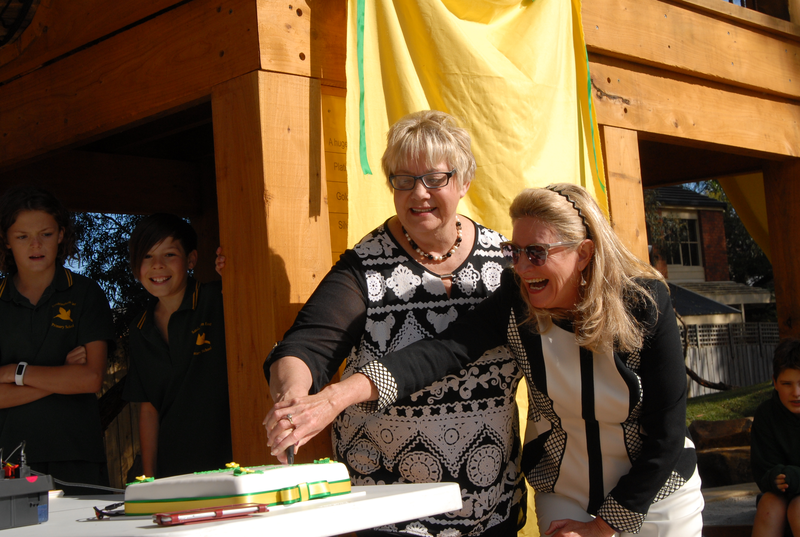 Assistant Principal Genevieve Casonato introduced the Cake Cutting. Thanks to parent Ainslee Smith (Cakesmith) for making the delicious celebration cake. We acknowledged the contribution by Free Agency (who provide our Replacement Teachers) for providing a celebratory sausage sizzle lunch for students. 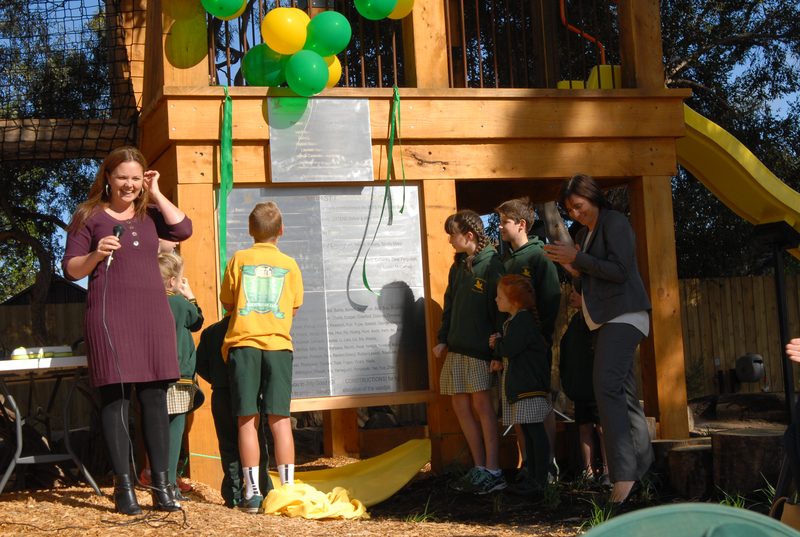 Belinda Wilson and Ally Wavish introduced students from Foundation and Level 6 who revealed the Honour Board and Opening Plaque. Foundation students will benefit for many years and Level 6 students and families have left this great legacy. Richard Bellemo who designed and built the Playscape explained about the use of recycled materials and the sustainability focus, as well as his pride to be involved with our SEPS community to create such an awe inspiring project.